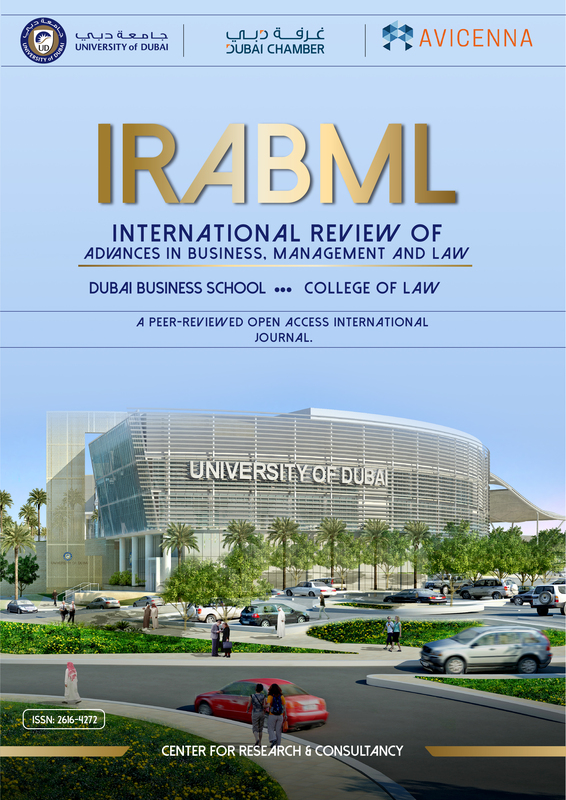 International Review of Advances in Business, Management and Law is an open-access peer-reviewed journal that will help in disseminating scholarly and practical knowledge among business and legal communities in developing and emerging economies globally. In the region business and legal issues are not independent, they are highly integrated. This journal makes the research issues unique for the users. Sreedharan S., Dr., Poornima G.R., Meena Nair, Dr., Genanew Bekele Worku, Dr., Wathiq Mansoor, Prof., Ananth Rao, Prof.